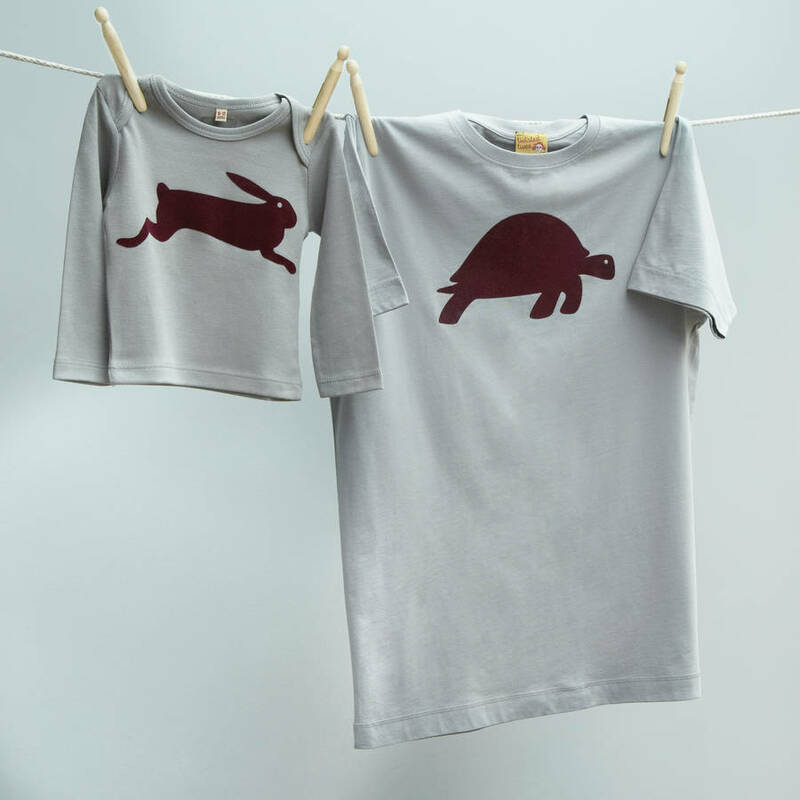 Matching T Shirt Set Tortoise and Hare for Dad and son or daughter. A funny and stylish gift for smart dads and granddads with speedy offspring. Lovely as a birthday treat, gift for new dads, or just to look good on Instagram! Hare may have energy to spare but tortoise has the wisdom and always gets there in the end. This set makes a delicious gift for new dads, old dads - even granddads. Often given as a birthday, christening, new baby or Fathers Day gift. And they go down a treat at Easter. 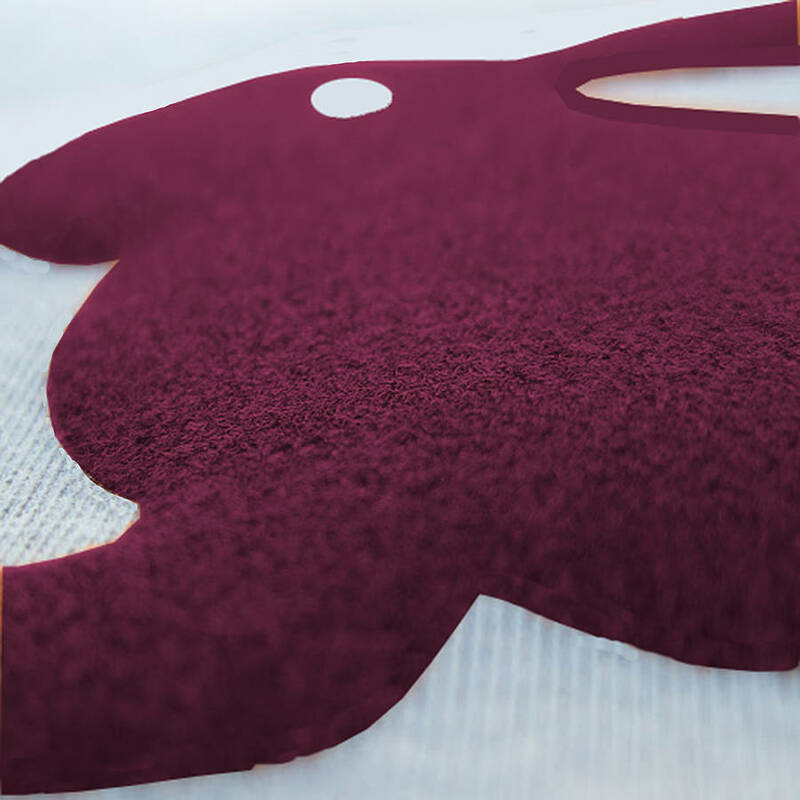 The prints are flock transfers of the very highest quality so the design has an appealing tactile finish. The t shirts are dove grey which sets off the warm brown emblems well. 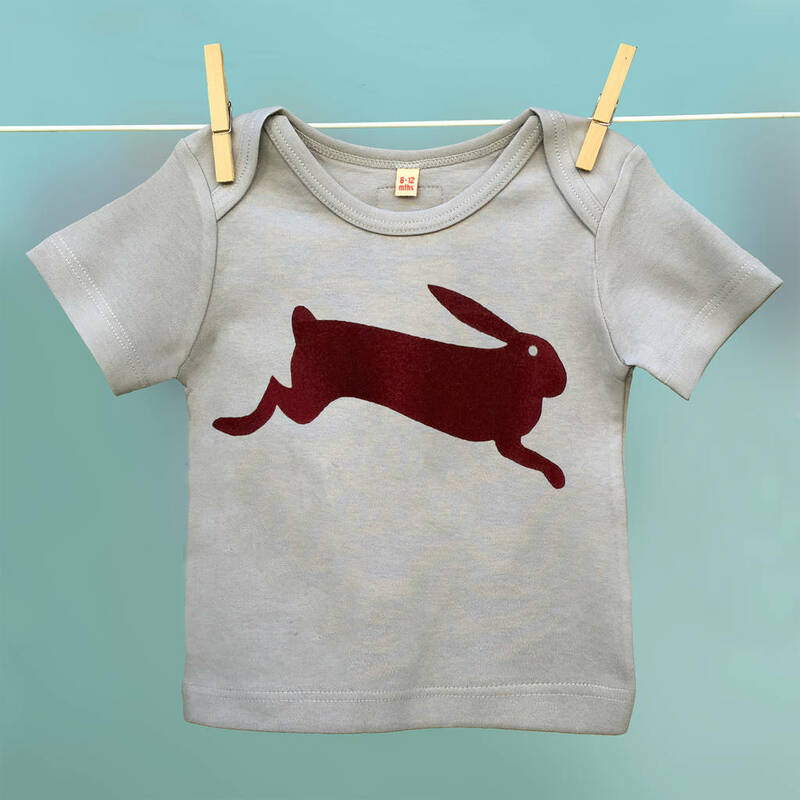 The hare t shirts are envelope-necked until a year old and then become round necked. Please note, the grey of the child's t shirt is a little darker than the adults, though they are a harmonious duo. 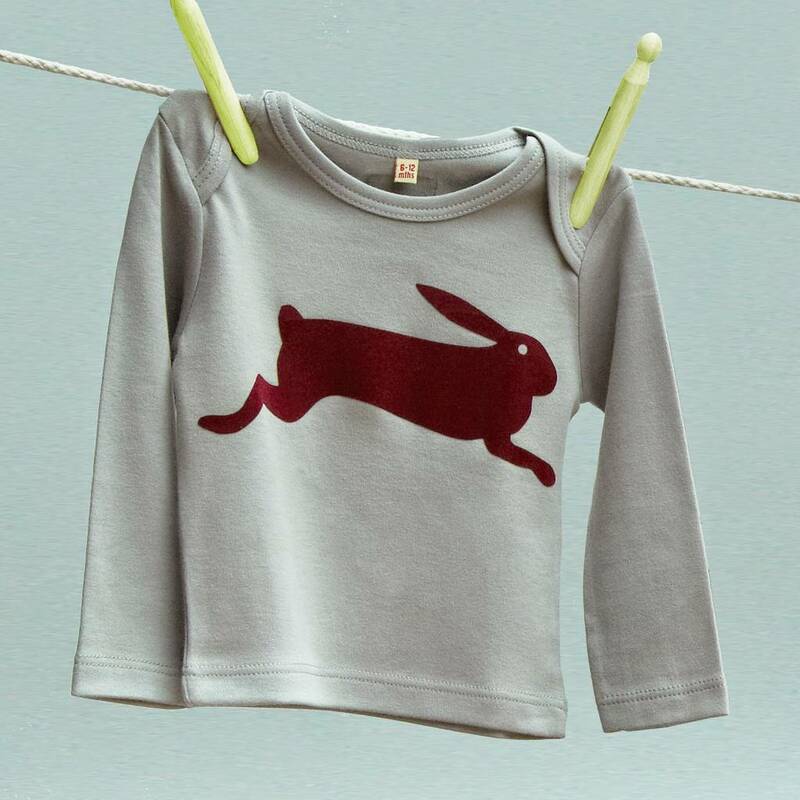 We also offer the grey child's t shirt with short sleeves up to age 3-4 years. So please message us if you'd prefer that. Additional Hare t shirts can be added easily for £15 each. All Twisted Twee products are sent out 1st class Royal Mail free of charge. So why not see if anything else we make tickles your fancy. You can find many beautiful items of practical lunacy for friends and family by pressing the 'see seller's whole range' button. 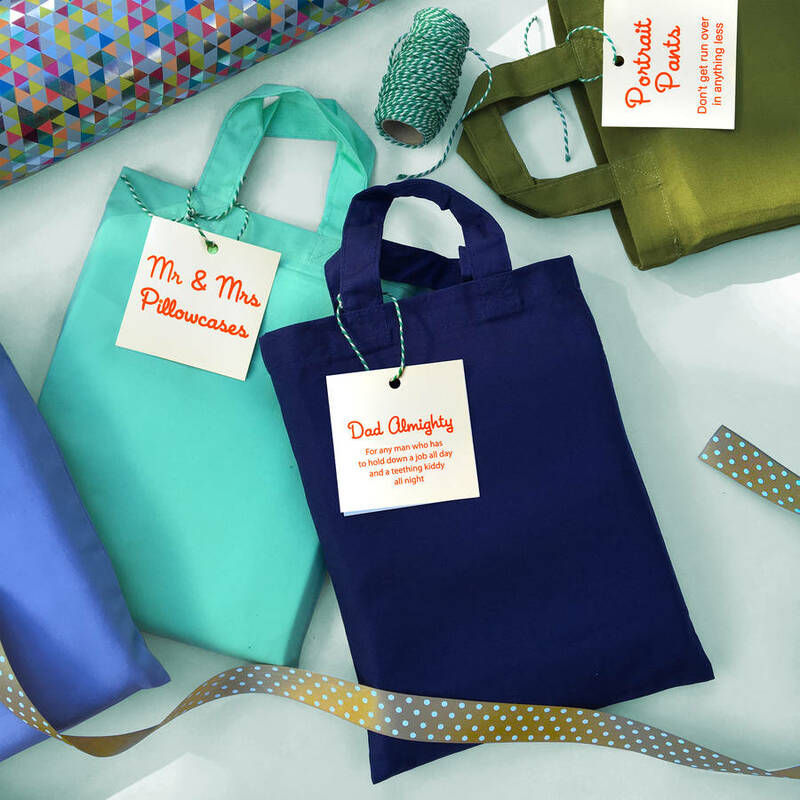 Orders are packed for free inside a bright, bijou canvas gift bag and we can write gift messages on request. An extra gift bag is available for £1. Dad' size t shirts available from Small to Extra Large. Nipper sizes start at 0-6 and run up to 9-10 years.